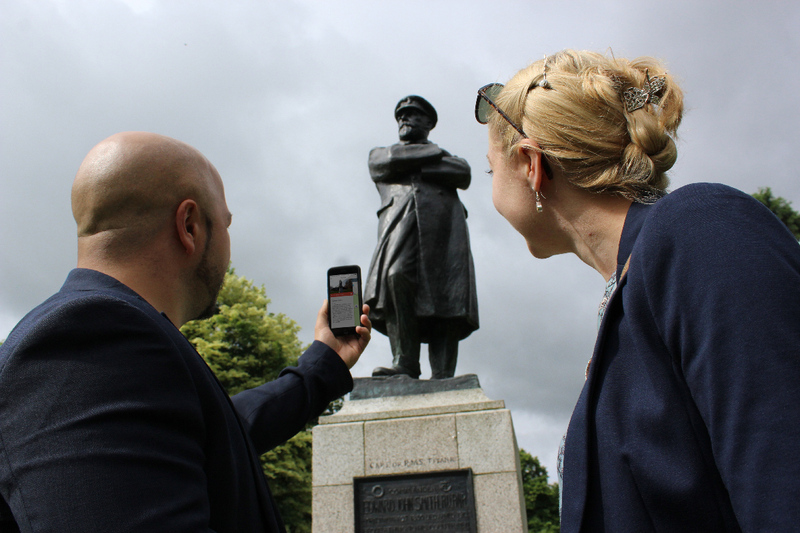 The Sculpture and Art Foundation CIC in collaboration with InLife Design, have launched a new app for Lichfield and District, as part of the Lichfield City Sculpture Trail. The app is the latest addition to the City of Sculpture project which has been developing over the past 12 years which has seen the development of dozens of exhibitions, events and installations around the area, including the Lichfield City Sculpture trail which has already been widely enjoyed over the past two years. “Thousands of people have already used our printed sculpture trail, which takes people through the city’s streets, past the shops and historic buildings, and face to face with the wonderful public artwork and features that we have on our streets and which are often overlooked. 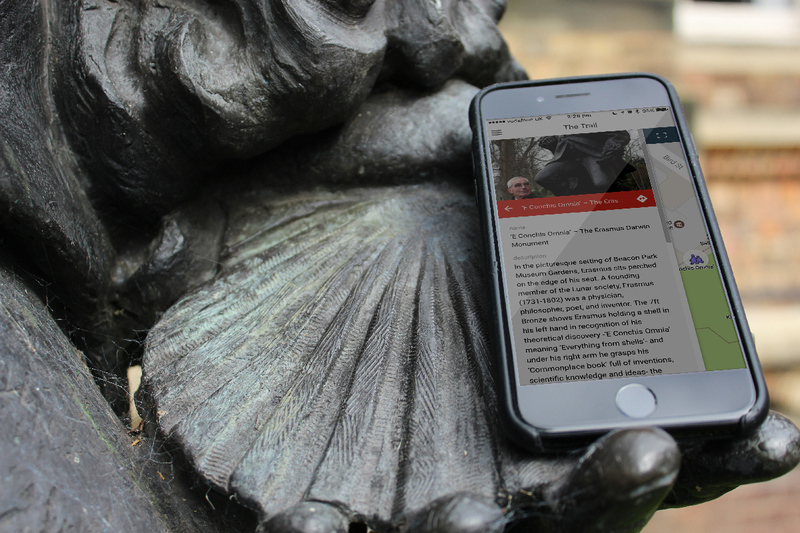 The app builds on this and lets people download and have in their pocket, information and details of the artworks and enjoy at their leisure the city through artistic eyes” Kathryn Walker, Director, The Sculpture and Art Foundation CIC. The app is an easy to navigate way to enjoy the key artworks in the city, for tourists and local people, and will be expanded and developed over the coming years. The first version the City of Sculpture App, has 2 key elements, the locations of public artwork and the locations of artworks from the recent “Mr Turner Comes to Lichfield” Exhibition at Lichfield Cathedral. “We loved working on the app and it’s always great to give something free back to the community, we really enjoy working with The City of Sculpture on projects like this, with more in the pipeline” David Whitehouse, CEO, Inlife Design. “The history of Lichfield stretches back to the 7th century and you can uncover this history step-by-step on the City of Sculpture trail! The trail is a great way of seeing the main attractions within the city – Lichfield Cathedral, Market Square, Beacon Park and Minster Pool – while also learning the story of its most famous historical characters – Samuel Johnson, James Boswell, Erasmus Darwin and Captain Smith of the ill-fated Titanic. There is no better way to see Lichfield than via this combination of sculpture, art, green space, history and culture – highly recommended! “ Jonathan Oates, Jono’s Tourism. 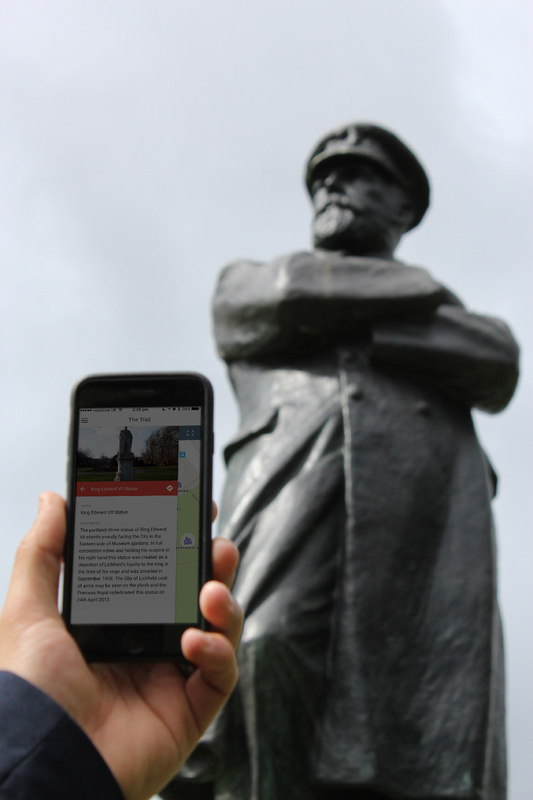 Both the Sculpture and Art Foundation and Inlife Design have provided their time and expertise for free in the development of the App and trail in order that the artistic heritage of the area can be enjoyed by all. The app can be downloaded for free from the App Store. Search for City of Sculpture. Trail maps are available at Tourist information in Lichfield and other venues around Lichfield City Centre. The Sculpture and Art Foundation CIC is a not for profit community interest company developing access, engagement and participation in the arts. Inlife Design are an award winning website and app development company based in Burntwood.